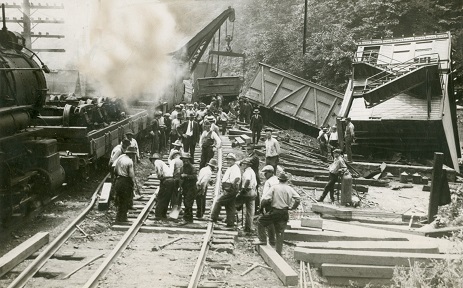 As railroads and streetcars are and have been linchpins of our nation's transportation and economy, far too many unfortunate cousins have lost their lives in related accidents, in the workplace or in private activity, between the years 1869 and 2012. All were males, except one. We seek on this page to identify their names and honor their memory -- in chronological order -- so they will not be forgotten.